One of the things I’ve been surprised to learn about the book publishing industry is how much of a crucial role today’s author must be willing to play in order to help promote their own work. Writers aren’t just writers anymore. They’re marketers, publicists, lecturers, and public speakers. It seems naïve to me now, but last year I thought my only job was to write the best book I was capable of writing, then just be open to any suggestions regarding final edits and rewrites from my publisher. 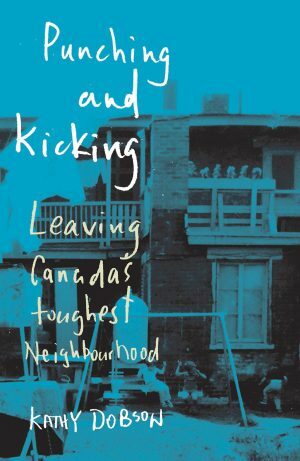 After submitting my final draft of “With a Closed Fist: Growing up in Canada’s Toughest Neighbourhood,” a part of me was happy to be finally finished with the whole damn thing. After all, it had pretty much dominated my life day and night the entire time I was researching, then writing, and then editing the book. Come to think of it, the research part took just as much- if not more- time than the actual writing part. Yet even before I had finished the happy dance around my home office after completing the final draft and pressing “send” on the email to my publisher, I quickly realized that my job wasn’t quite done yet. Next I had to help find my readers. I’m not sure what I used to think- that my book would somehow magically find readers on its own? My publisher, Simon Dardick at Véhicule Press, has gone above and beyond in his support of “With a Closed Fist.” But I’m not his only author of course. Nor his last. As I’ve been quickly learning these past few months since my book’s launch in Montréal back in November, I have an important role in helping to get the word out there. So I Twitter, try to update my Facebook status and website with any news about my book, happily accept all press interviews, speaking engagements, and swear a lifetime debt to the few individuals who- quietly behind the scenes- are trying to help me reach some other important goals in regards to my book. But I admit, it feels a little weird sometimes. I’m a writer. I feel most comfortable sitting in front of my laptop, doing research and working on my current writing project. Not that I’m complaining, because really I’m not. Talking about my book is actually turning out to be much more fun than I ever expected it to be. But to be honest, I just hadn’t realized just how hands-on today’s writer has to be if they want to reach as wide of an audience as possible. With a Closed Fist has made the top 30 of the National Post’s Best Books of 2011: Reader’s Choice List! Thank you to all the readers who voted! CLICK HERE to see more Blurbs and Reviews about With a Closed Fist! Here is the ad that will be running in the October issue of the Montreal Review of Books. It will be inserted in Quebec edition of the Globe & Mail, and the Ottawa edition too. With a Closed Fist hits bookstores November 1st. Don’t miss the official book launch!